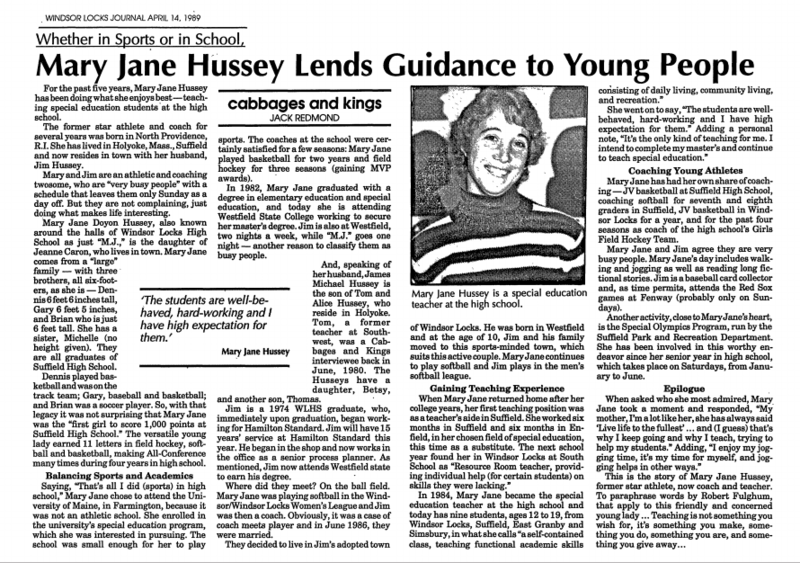 In any discussion of Windsor Locks Special Olympics, the first name that comes to mind is always Mary-Jane Hussey. 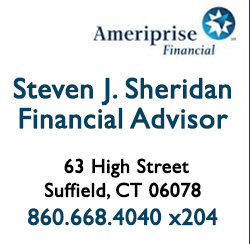 An outstanding student athlete at Suffield High School and University of Maine – Farmington, Mary-Jane (M.J.) was a volunteer in the Suffield Special Olympics program from high school through 1991. A Special Education teacher in the Windsor Locks school system since 1983, M.J. has been a resident of Windsor Locks since her marriage to husband Jim (WLAHOF Committee Member) in 1986. Soon blessed with three (3) beautiful daughters (Meghan, Erin and Colleen), M.J. and friend Elaine Ladny formed what would become the Windsor Locks Special Olympics program in 1996 as a means of introducing their daughters Erin (Hussey) and Nicole (Ladny) to organized youth sports. 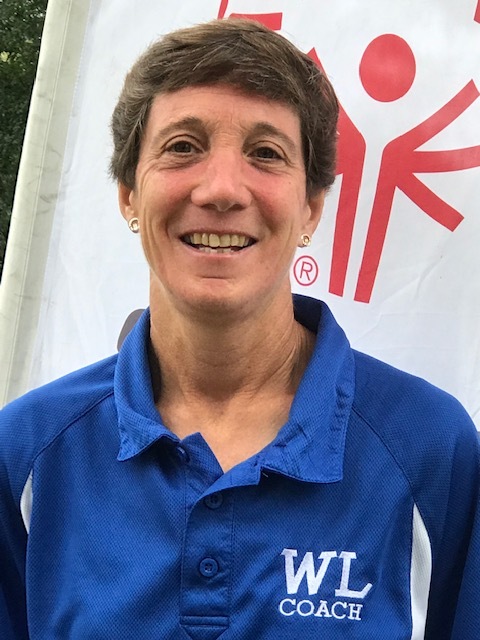 Now in her 23rd year as head coach of Windsor Locks Special Olympics, M.J. has overseen the dramatic growth of this program from just four (4 ) special needs athletes competing in State Special Olympics track and field events to the current forty (40) Special Olympians and an equivalent number of unified partners competing in year-round sports programs including Track & Field, Cycling, Floor Hockey, Basketball, Bowling, Croquet, Bocce and Unified Fitness. M.J. will always be the first to say that the remarkable success of the Windsor Locks Special Olympics program is in no way attributable to any one person, but rather to the strong commitment to this program from athletes, unified partners, coaches, parents and volunteers alike. The Town of Windsor Locks is very fortunate to have an outstanding Special Olympics program which provides year-round sports opportunities for persons with special needs. Mary Jane was inducted into the Suffield Athletic Hall of Fame in 2003. 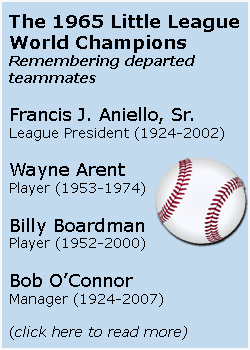 Along with Fran Aniello and Coach Daniel Sullivan, MJ is one of three WLAHOFers in both the Suffield and WL Athletic Halls of Fame. 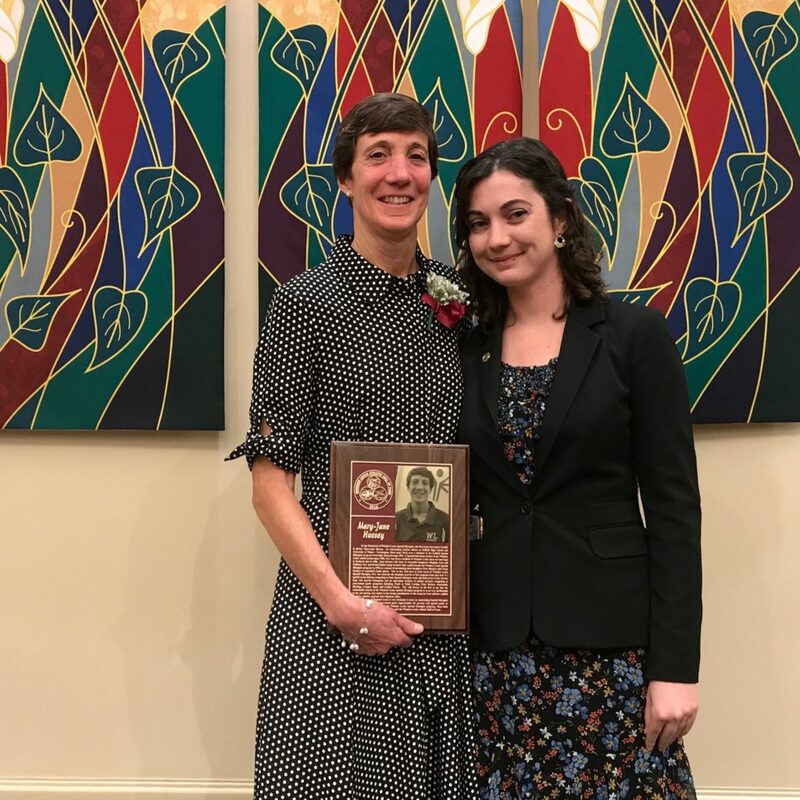 As architect and tireless leader of the Windsor Locks Special Olympics program, Mary Jane Hussey is very deserving of her induction into the Windsor Locks Athletic Hall of Fame. 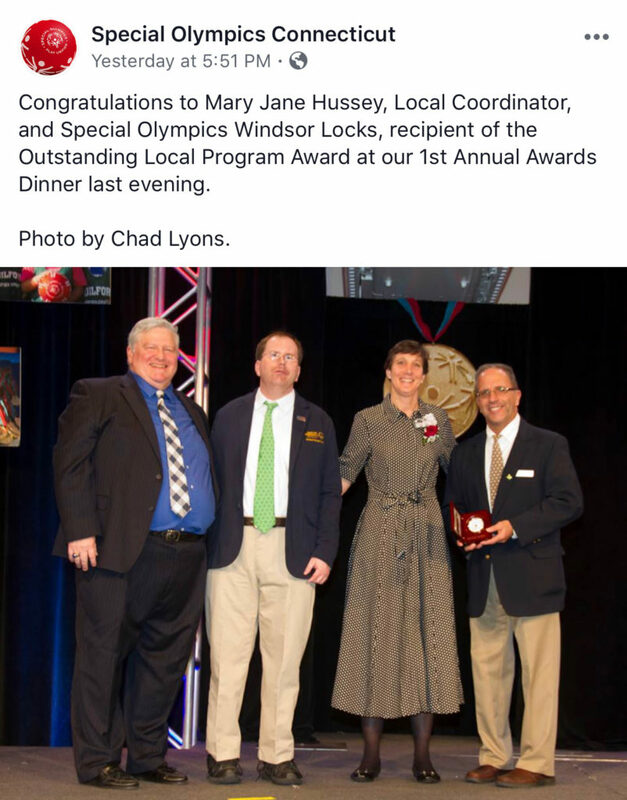 On March 21, 2019, at the 1st Annual Special Olympics Hall of Fame Awards ceremony, Mary Jane represented Windsor Locks which received the Outstanding Local Program Award.